A new 2-story wood-framed 4000 s.f. 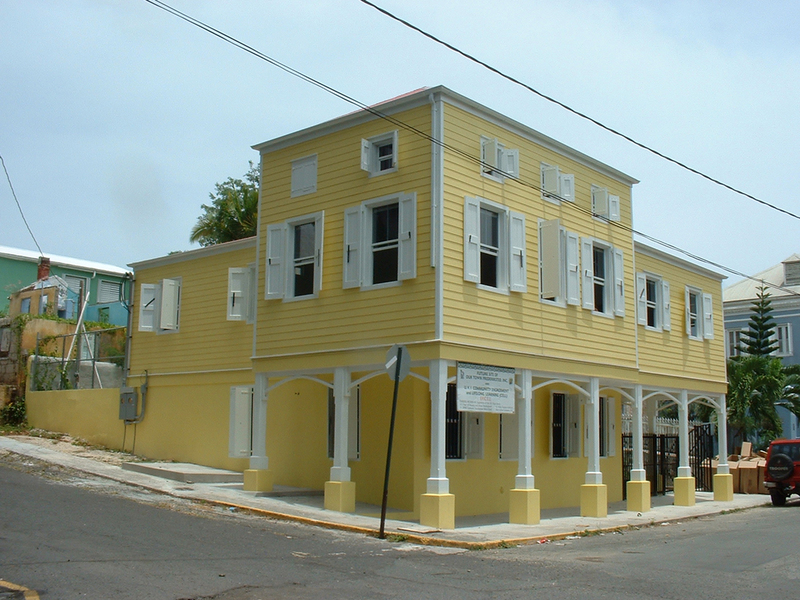 classroom building in historic downtown Frederiksted, St. Croix, USVI. 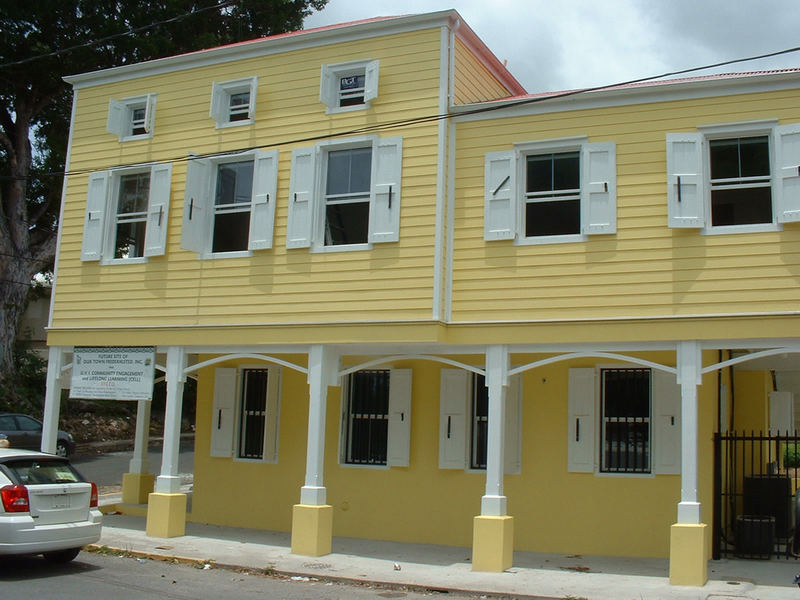 Accommodating community outreach educational programs provided via the University of the Virgin Island’s “CELL” program (Community Engagement and Life Long Learning), the building contains office and meeting areas on the ground floor and classrooms on the second floor. The ground floor’s main exterior wall is part of an older building that was left derelict for many years and has been refurbished, strengthened and included in the new building. 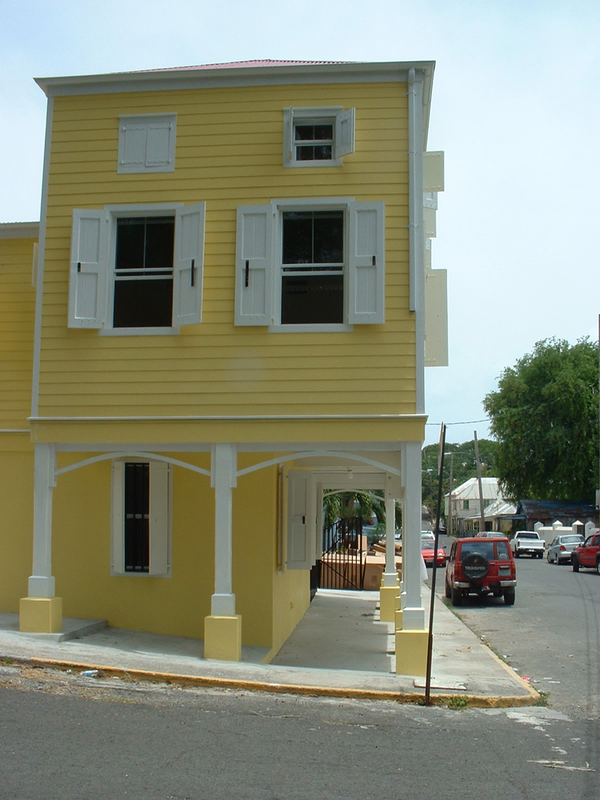 The building incorporates many local Caribbean details such as the operable shutters, sidewalk arcade & vibrant coloring, to integrate it with its surroundings. The building has been designed to safely weather major storms and hurricanes.